If you have any tips, help. advice then post here for all to benifit. 3 Any thing else you can think of ? Last edited by gazza4x4; 03-11-2010, 05:32 PM. Thanks for this post as it has helped me setup my lap timing system using darlington receivers as well as IR emitters. The receivers work without the IRs even in the dark, should I be using resistors with these as well to "detune" them at all? 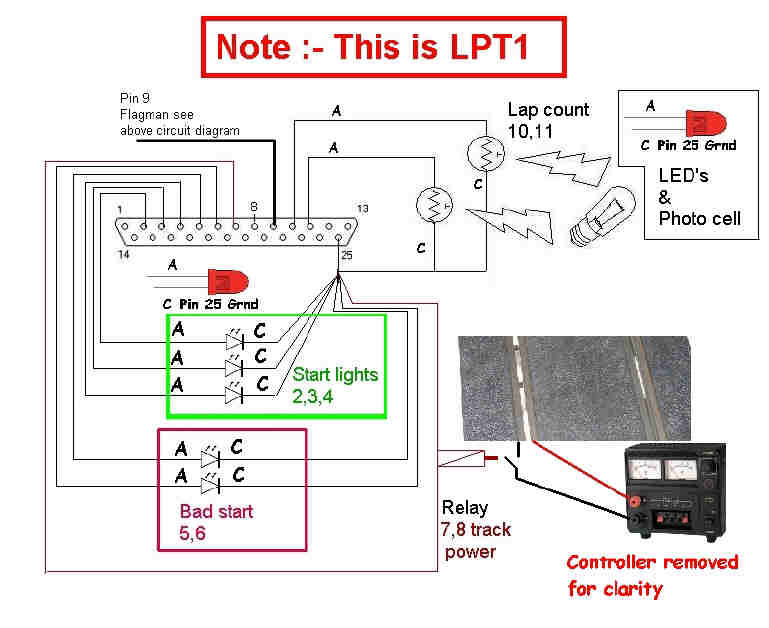 Thanks for this post, it has helped me setup my lap timing system using Darlington receivers as well as IR emitters. It works so well that it works without the IR's even in the dark, Should i be using resistors for this so as to "detune" so it relies on the emitters? 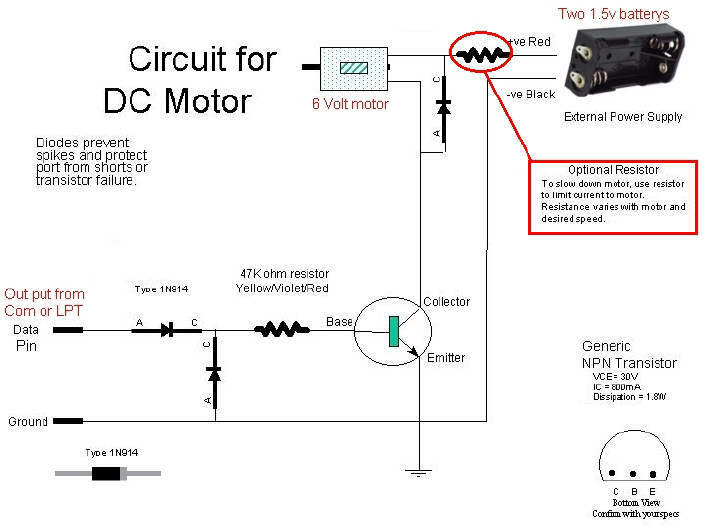 Here is 2 simple designs explaining how to invert detection on any PC parallel port or 5v compliant input port. Might be usefull for fuel/refuel detection. HI am just new to this and am trying to set up some racing lights startetc. I have wired up a green LED however as soon as i plug it in to the port it lights up and doesn't turn on or anything when i start race? i have also tried to turn it off on the circuit set up but still stays lit?? also having a test button in the setup for port wires could be a good idea? 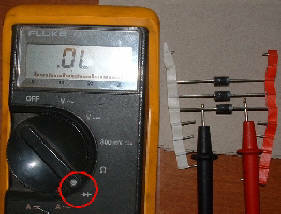 hi do we need to put the 47 ohm resistor on the photo sensors also? Regards the light staying on . . 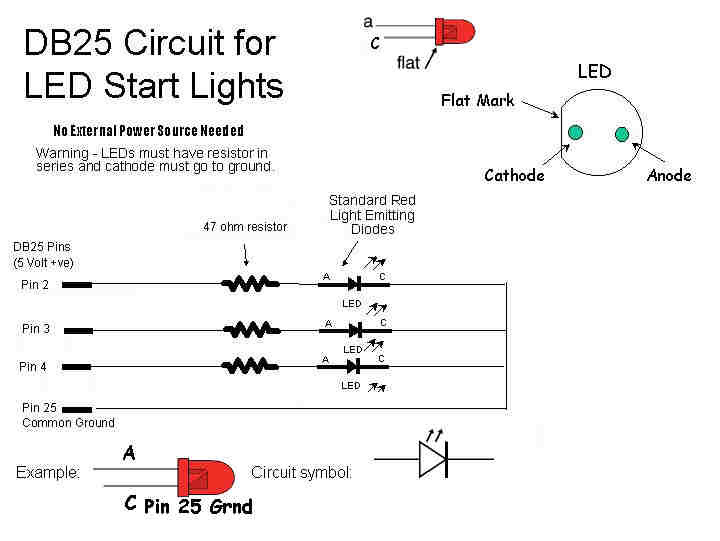 Under Hardware Settings>General>Circuit , is the Green Light set as Pin 2, on LPT1 ? To check if it is functioning correctly, go to Hardware Settings>Hardware>LPT1 , a pic of the parallel port should come up, click on Pin 2, it should turn on or off each time you click it, and your LED should do the same if wired correctly. If not, also try Pins 3-9. If Pin 2 (or 3-9) won't change state, then maybe another printer program is controlling it? Or you may need to recheck your wiring. Beeing a total noob on electronics, can you tell me how to and where to wire the fuel/refuel detection in this picture? Pin 10 could be laps for lane 1 . .
pin 11 could be Refuel for lane 1. . .
pin 12 could be laps for lane 2. . . .
pin 13 could be refuel for lane 2. .
Can someone tell or show me how to wire a call button and relay? 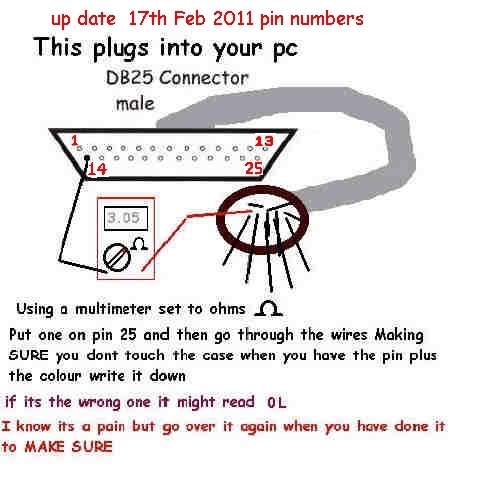 Based on what I have read, (please correct if I am wrong), I wire the call button using parallel port pins 15 and 21. For the relay #2 and 21. 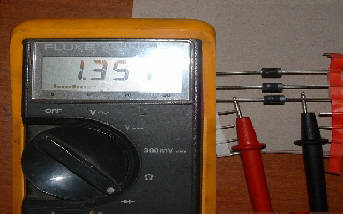 If my selection of pin numbers are correct, does it matter which of the parallel port pins go on the relay? Does 2 go to 85 and 21 to 86? There are four "pins" number 85, 86, 30 and 87A. The latter two are for the track power, 85 and 86 is to activate the relay.